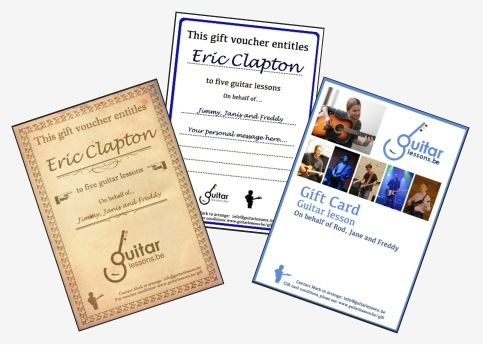 A gift of guitar or ukulele lessons could be the encouragement and motivation your friend, family member or work colleague needs to improve their playing and get further enjoyment from it. 45-minute lesson = 45 euro. ​You can buy a single lesson for someone, or as many as you want. Five or ten lessons are the most popular. For gift voucher conditions, see here.